In today’s world where questions of identity, culture, nationalism and religion are being explored by writers from across the globe, Ahmed Ali’s work is considered to be the first in English to address these topics for the Indian subcontinent. Published in British India after being convinced of its non-seditious nature and intervention from E.M. Forester, the inheritors of its legacy are spread across the two countries as the novel examines the decline of Muslim culture in favour of its British counterpart. 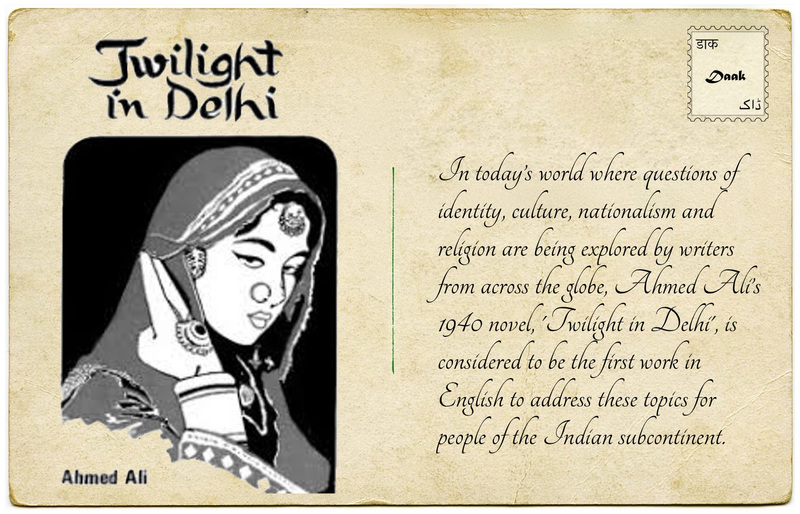 As the title suggests, the novel is an elegy to the way of life in Old Delhi before the onslaught of colonial modernity. It paints a nostalgic portrait of life in Old Delhi during the early part of the 20th Century. The author is able to conjure a Delhi of tawaifs (to learn poetry/ tehzeeb), fakirs, hakims, kite flying, pigeon flying (kabootarbazi) and qawwalis, as he brings history to life and makes the reader aware of the loss of culture at the hands of the British. The novel is set around 1911 and revolves around Mir Nihal and his family. The main character Mir Nihal, a product of the old guard who longs for the glorious days of the past where an Indo-Islamic culture was dominant, is disgusted with the influence of British as he is witnessing a change in lifestyle, livelihood, clothes, shoes and even furniture. The events of 1857 pervade the novel and the behavior of the people in the earlier part of the 20th century is contrasted with the humiliation suffered at the hands of the British in 1857. Mir Nahal and his wife, Begum Nihal, discuss the wanton destruction and loot which ensued once the city fell into the hands of the British in 1857. The heroism of Muslims, looting of Delhi by the firangis, taking away of property, and the displacement of Muslims from Old Delhi are all recounted in the novel. This is contrasted with the sense of complacency in the inhabitants of Old Delhi and the vigor with which the new generation welcomes King George V. There is a brief interaction between the descendant of Emperor Bahadur Shah Zafar and Mir Nihal, as the pitiful condition of the former represents the defeat and fall of Muslims in India. Many passed caustic and humorous remarks on the dress and faces of the native chiefs, laughing at their retinues, calling them tin soldiers or made of straw. The children were excited by the sight, and gloated over liveries and uniforms and so many white faces as they had never seen before. They shouted and asked questions from people who either did not know the right answers or were too busy themselves watching the fun. All this was too much for Mir Nihal, and he felt he could not stand it any longer. He got up to go away and forget his woes. With difficulty he made way for himself. Everyone turned round to look at him.